A retired couple from Devon decided to take action against increased energy bills by switching their central heating off altogether. Joanne and Jim Bell, from Yelland, near Barnstaple, have spurned heating in favour of wrapping up warm with extra layers of clothing and blankets. Mrs Bell said: "I am an old aged pensioner and my money only goes so far. I do not want to give money to billionaire energy companies. "We are all suffering, so I thought we would make this stand because I can't afford it and I'm very cross." Mrs Bell believes the couple have saved around Â£800 by spurning their central heating as of March last year, however they realise that the move won't be everyone's cup of tea. Mrs Bell added: "It's not for everybody. If you have young children, sick people, elderly relatives and you feel you need the heating, keep it on low." Fuel poverty amongst vulnerable people is actually an increasing concern in the UK . Only two months ago, the campaign group Energy Bill Revolution wrote to Prime Minister, David Cameron, warning him the number of households in fuel poverty could raise as much a third - up to nine million - by 2016, unless greater action was taken over energy efficiency. The government is already well aware of issues relating to higher energy bills however, and various government schemes are in place to support the most vulnerable homeowners in the UK, with things such as the Warm Home Discount Scheme, Winter Fuel Payment and other measures in place. 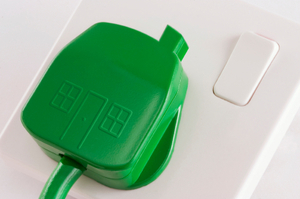 The government has also launched the Green Deal, working in conjunction with energy suppliers to offer homeowners subsidies on work on new boilers, fitting of loft insulation and other such measures to improve energy efficiency in the home.